It’s likely that your hotel already knows that VoIP would be a more cost effective communication service than an on premise phone system. This is absolutely true, Cloud PBX is cost effective when compared with an on premise phone system. However, the cost saving benefits are only the beginning. There are several features available that are specifically useful for hotels. Below are 5 ways your hotel could benefit from Cloud PBX features. Using Hotline, your hotel lobby and guest room phones are just one more method to reach your customers. Instead of hearing a dial tone when they pick up the phone, guests will hear a prerecorded menu that could include information such as dining and excursions and the option to connect to different departments in the hotel, such as the concierge or front desk. Choose any song or number of songs to play for your guests as they wait on hold. This is a standard feature and does not require any additional purchase as it does when using an on premise phone system. 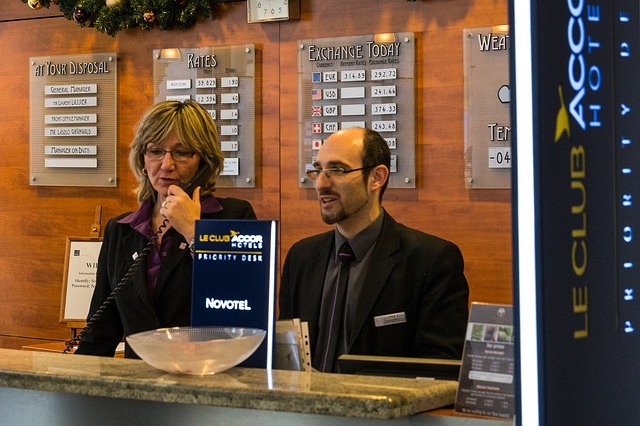 Hotel employees are always on the move –make them accessible by only providing one phone number. Using Find me Follow me, the incoming call will ring to all devices simultaneously, allowing the employee to pick up the call from whichever device is most convenient. Once the incoming call is picked up, Call Jump allows employees to send the call to any other device without having to hang up and redial. Information is power! Use call reports to track data, such as call frequency, in order to help with staffing or to show effectiveness of marketing campaigns. Use a prerecorded menu to give incoming callers information, such as location, as well as allow them to choose the department that they wish to be directed to. For more information, visit our website, our Facebook, or related blog posts.